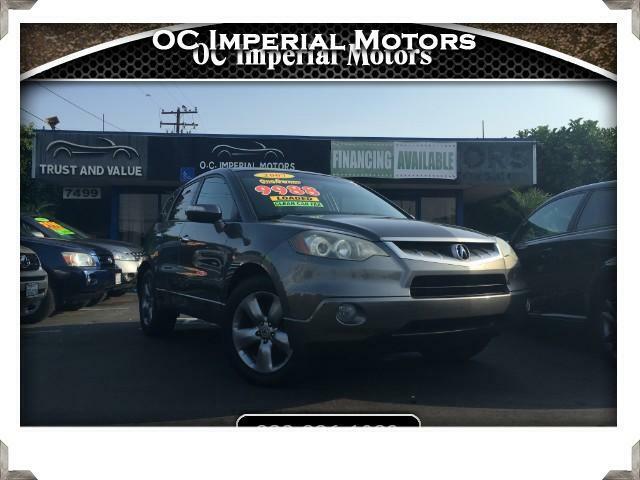 2007 Acura RDX ***4 Cylinder ***Extra Clean ***AWD Clean Title, No Accident , California car , Clean Carfax , 4 Cylinder SUV , AWD , All Power in immaculate condition . Please visit our Website to view the entire collection of pictures at www.ocimperialmotors.com Call Today. In need of Financing? We pride ourselves in getting folks thru this process and on the Road. Good Credit or Bad Credit we will make it happen. At OC Imperial Motors, we work really hard to bring the best cars in the market, and we make sure that you get the best deals. We are a licensed, bonded California Automotive Dealership. We are a relationship Dealer. We are proud of our reputation in the industry and hope to make you a life time Client. Our customers are family and are treated with the greatest respect. Please call us at: 888 886 1089 The prices listed are Selling Cash Prices. Tax, license, smog, and documentation fees are additional.